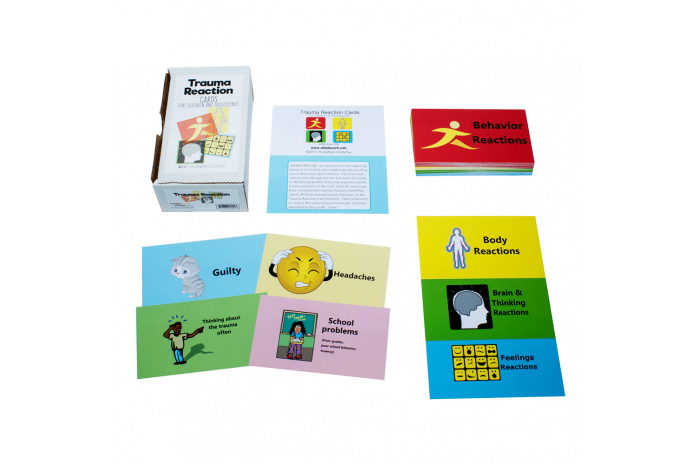 The Trauma Reaction Cards are a therapeutic tool to assist children and adolescents in understanding and identifying their reactions to traumatic or stressful life experiences. These colorful and illustrated cards are categorized into the four domains of trauma reactions: Behavior Reactions, Body Reactions, Brain & Thinking Reactions, and Feelings Reactions. This game is an excellent trauma resource to use with clients. I shared it with some therapists this week, and they loved it! So much thought and detail went into creating this game. Beth Richey is amazing! I love that she also made a Trauma Reactions Card Checklist to use to further help your clients.